The UK has become Europe’s largest market for plug-in hybrids, with over a quarter of the region’s rapidly-growing volumes sold here during the three quarters of 2016. The UK is now Europe’s largest market for plug-in hybrids. According to ACEA figures, 19,694 plug-in hybrids were registered in the UK to the end of September. That’s a 49.1% increase on the same period of 2015, and a 25.9% share of the 76,037 sold across the EU and EFTA – a figure which has also grown by 38.7% during the last year. At the end of Q3 2015, the Netherlands was Europe’s biggest PHEV market, helped by generous incentives for company car drivers which were withdrawn at the start of 2016. It’s had a marked effect, with a 68.3% drop in registrations from 16,420 to 5,204 units. By comparison, the Norwegian PHEV market almost tripled, from 5,123 units in 2015 (20.7% of plug-ins sold) to 15,879 units (48.7% of plug-ins) in the first nine months of this year, reflecting a large-scale consumer shift from fully-electric to partially-electric models. The growth of the fully-electric vehicle market (including hydrogen fuel cells) is much slower. Across the EU and EFTA, this grew 7.7% year-on-year, with the UK growing 16.6% at 8,107 units registered – a 12.4% share of the region’s EV volumes. Norway remained the largest market, but with an 11.3% reduction in registrations, to 19,716 units. 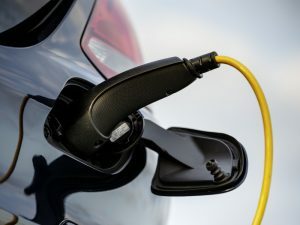 Counting plug-in hybrids and electric/fuel cell vehicles, the EU and EFTA registered 143,315 units in the first nine months of the year, a 21.8% increase on 2015. A fifth (20.3%) of those were registered in the UK, which at 29,195 units is close to Norway’s 33,386 units. However, 28.8% of the Norwegian market is plug-ins – a significantly higher share than the 1.4% they account for in the UK.